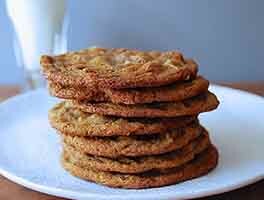 This recipe, a signature cookie at our Norwich, VT Baking Education Center, is a favorite of our marketing program manager, Julie Christopher. "The combination of molasses, ginger, cloves, allspice, and cinnamon dances in your mouth and leaves a lasting impression," she says. 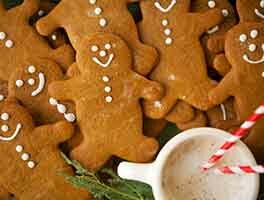 The diced crystallized ginger and sparkling white sugar are must-haves for optimal results, and Julie recommends preparing the cookie dough a day ahead of when you plan to bake the cookies, allowing the flavors to blend and enhance one another. In a small bowl, whisk together the flour, baking soda, salt, and spices. Set aside. In a separate large bowl, beat together the butter and brown sugar until light and fluffy. Beat in the egg, crystallized ginger, and molasses. Add the dry ingredients, beating gently until evenly blended. Cover the bowl and chill the dough for a minimum of 10 to 15 minutes; overnight refrigeration is preferable, if you have the time. Preheat the oven to 400°F. Lightly grease two baking sheets, or line with parchment paper. Shape the dough into 1" balls, and roll each ball in sparkling sugar. Place the balls of dough 2" to 3" apart on the prepared pans. Bake the cookies in the center of the oven for 10 to 15 minutes, until they're golden and set. Remove the cookies from the oven, and cool them right on the pans. These cookies were delicious, but they spread too much and were thinner than pictured in the recipe. I measured the ingredients carefully using a scale, and refrigerated the dough for about 18 hours before baking. Even so, the cookies got lots of compliments. Any thoughts on what went wrong? I first made these on December 20th and they were absolutely delicious. I followed the recipe exactly and using the crystallized ginger (made my own) and rolling the dough ball in sugar crystals really set it off. A little crisp on the outside and a little chewy on the inside made these really good. This cookie was perfect for the Christmas season, too. I just finished washing the dishes from making another batch of dough and I wish I could make them now, but waiting 24 hours for the flavors to really dance together makes it all worth it! Excellent cookie! Cookies taste great, but I found that 400 was too hot an oven temperature - cookie sheets in the middle burned on the bottom by 10 minutes baking time - next time I'll try a lower temperature. Fabulous ginger cookie! Not too sweet and just the right amount of spice, though I was out of cloves so I left those out. I used Dermera sugar to roll them in, and they are chewy with a nice sugary crust. These turned out great despite my making a monumental gaff! In listing ingredients prior to shopping, I somehow transcribed that I needed 1 1/4 cup of molasses instead of 1/4 cup! I realized the error after mixing up the dough and resigned myself to disastrous spreading. They turned out great! Baked for 10 min at between 375 and 400F and just slightly softer than I'd ideally like them even with 5X the recommended molasses! 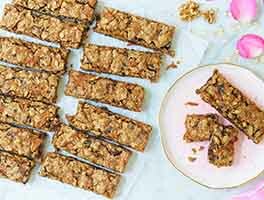 Not a very fussy recipe and delicious results! 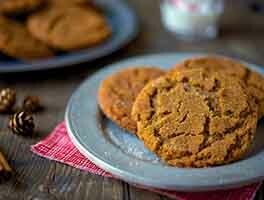 A very good spice cookie recipe! The family enjoyed a first taste of Fall tonight. This portion of the comment does not bear on the recipe. I was looking for more of a spice wafer on the order of Ivins (former Philadelphia gal here). Any suggestions? Thanks for such a great website and great baking products! I just got the recipe off the internet this morning and have already made them (the dough didn't stay in the refrigerator overnight, but for a couple of hours). They are FABULOUS! I love them! Smell heavenly baking. The perfect combination of crunch and chew, sweet and spice. Just amazing cookies. Highly addictive. 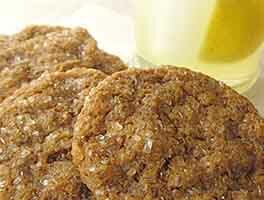 Really tasty cookies -- they come out great and I have used them for cookie exchanges with rave results! Not bad, but not great. The oven temperature is too high for the amount of brown sugar and molasses in this recipe...they came out burned on the bottom. I found reducing it to 365 F for 12-13 minuted worked better. 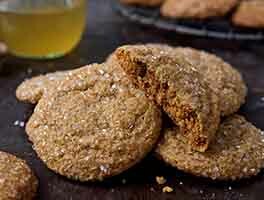 However, for me, this recipe still didn't make those perfect balance of crisp sugary outside and chewy molasses inside cookies.